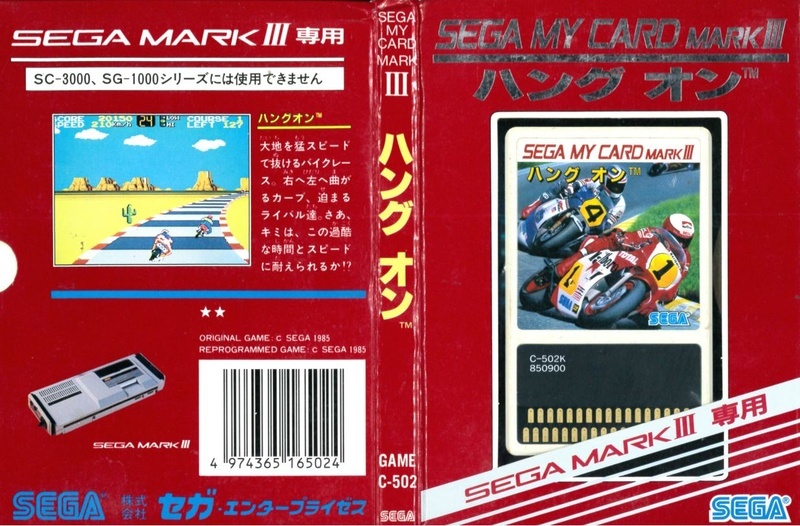 Did you know that Sega's logo used to be red? Back in the 60's and 70's, it used to look like this, and was proudly displayed on their early electro-mechanical arcade machines. 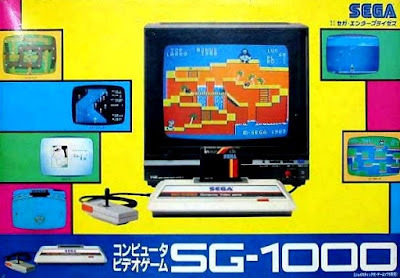 While the blue Sega logo we all know and love would be introduced in the late 70's and early 80's, the first version of the SG-1000 would eschew a blue colour scheme, and instead featured a bold black, red and yellow motif. 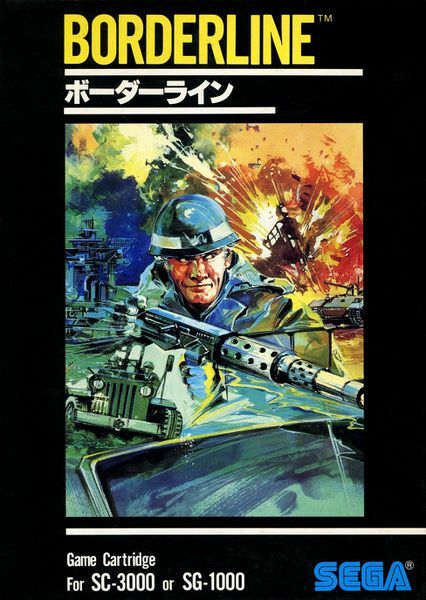 This design featured in the early promotional material, and first went on sale on 15th July 1983 (although it was rumoured to have been test-marketed in isolated prefectures as early as 1981). 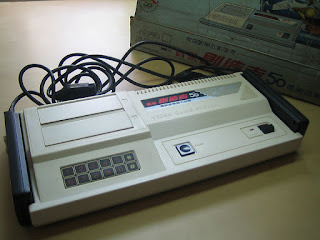 The original SJ-200 joystick originally came hardwired to the console for player 1, with a port for a second joystick for Player 2 (sold separately). 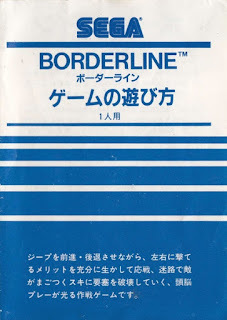 The original run of games and software were sold in bold black boxes with yellow lettering, although the manuals would be printed in monochrome white and blue, which foreshadowed changes to come. 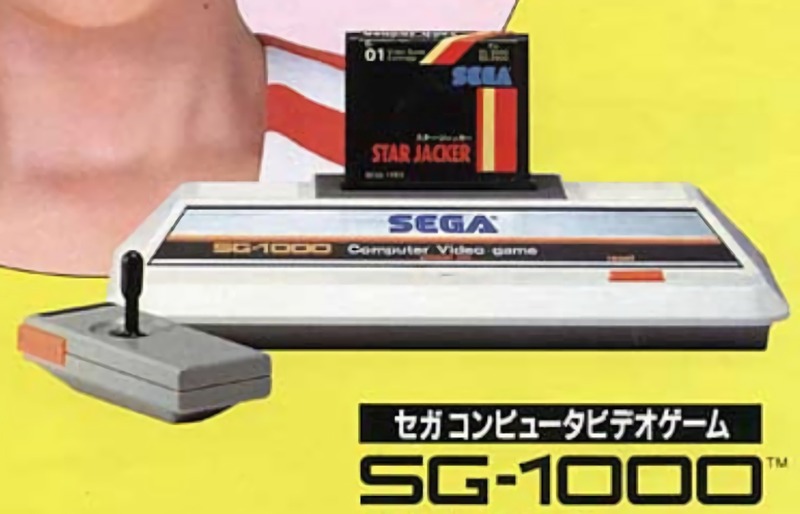 Before the end of 1983, the SG-1000 design would be revised to feature a blue stripe instead, which was more inline with Sega's corporate branding. This decision to go blue was possibly also in response to the Nintendo Famicom (which happened to be released on the same day as the SG-1000) as a way to better differentiate from their red coloured competitor. 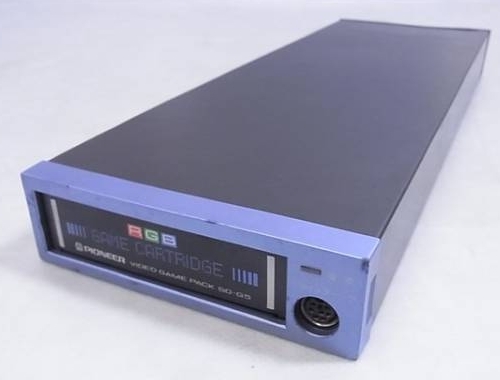 There are two subtly different blue striped SG-1000 revisions. The first features a protruding player 2 control port, while the second revision is flush with the casing. The protruding port is the rarer variant, and could possibly be considered a manufacturing defect. It is likely that both revisions were released in the later half of 1983. Motherboards from all three versions have been shown to be date-stamped ©1983. It is possible that the last revision may have been first sold in early 1984, but it is more likely to have been on shelves before Christmas 1983. 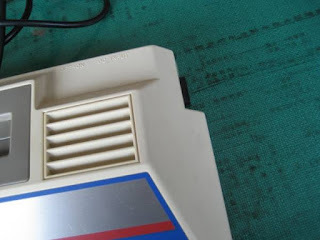 The packaging for the new blue stripe model was also updated to reflect the changes to the machine, though it is unclear if this was done for the first or second revision. 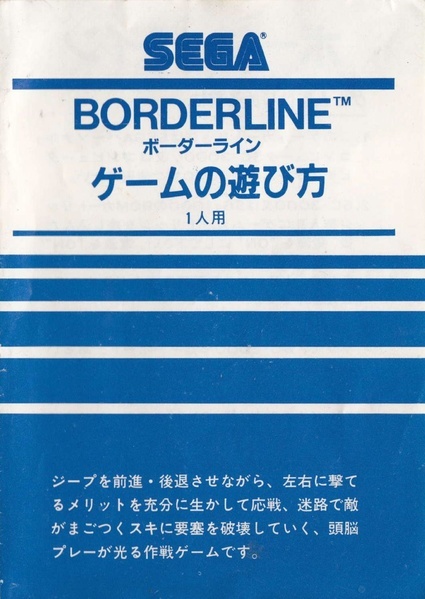 There has been examples of blue stripe models being sold in boxes with the original black stripe model design, but it is unclear if it was originally purchased in this combination or if a mix up has occurred in the intervening 30 years. 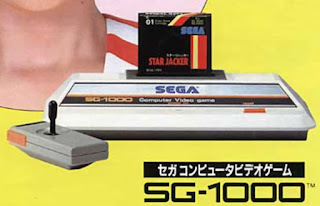 Also note that the SG-1000 logo for the blue stripe model is subtly different from the black-stripe model. All three revisions would retain the hardwired joystick for player 1. Unfortunately, the original SJ-200 controller is notoriously horrible, but Sega was quick to issue a remedy. 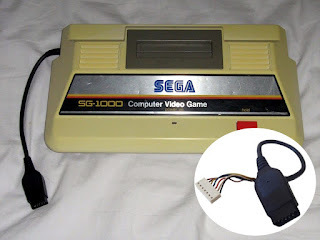 The JC-100 cable was sold as a replacement for the hardwired joystick, and involved the user having to unscrew and open up their SG-1000 to replace the joystick with a short cable that enabled other joysticks and joypads to be connected to the system. When purchasing systems today, you will find some with the original joystick still attached, and others with the JC-100 cable instead. 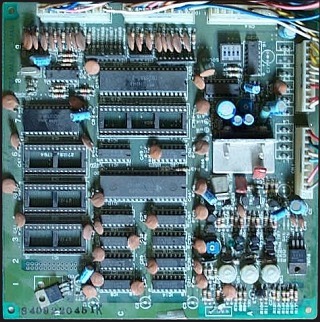 These are not hardware revisions, but a very early example of an officially-sanctioned hardware mod. 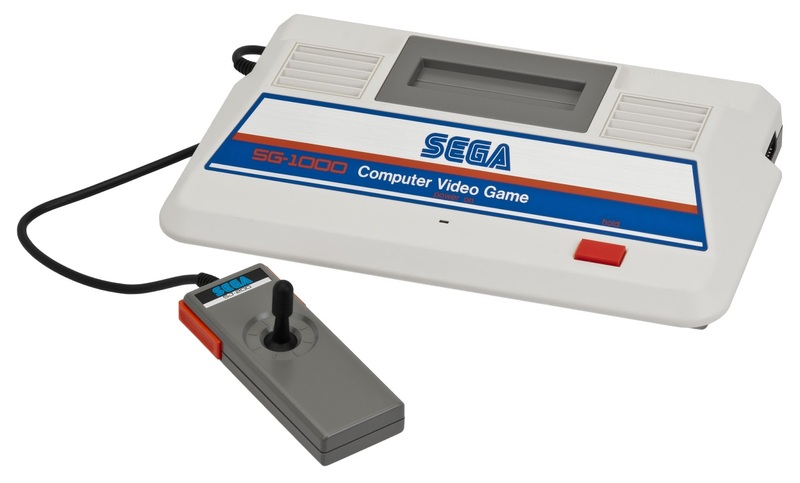 Almost exactly 12 months after the first SG-1000 went on sale, Sega would release the completely redesigned SG-1000 II (Mark 2) in July 1984, which took many cues from the more successful Famicom. 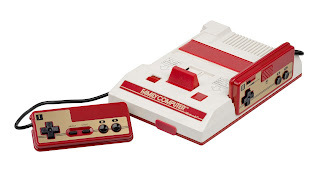 The horrible hardwired joystick was relegated to the dustbin of history, replaced with detachable SJ-150 joypads which closely mimicked the Famicom control pads, even slotting into the side of the machine for easy storage, just like the Famicom. 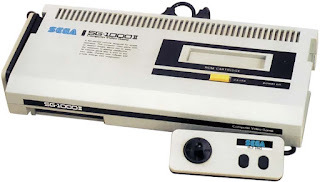 The SG-1000 II might have lost the blue stripe of its immediate predecessor, bearing a more refined black, white and silver look, but the soon to be introduced Sega MyCard software would bring the blue hue back to the fore. Blue would be the characteristic colour for all future SG-1000 titles, even the late release cartridges. 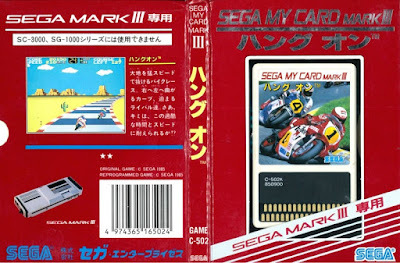 When Sega released the more advanced Mark III hardware in 1985, its software would be differently colour coded to - you guessed it - red! 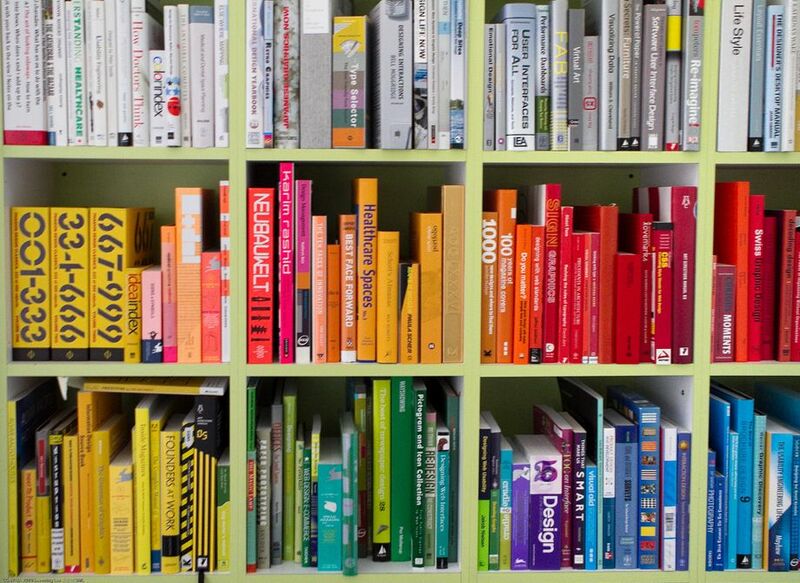 This was done in order to avoid confusion with the first gen blue software. 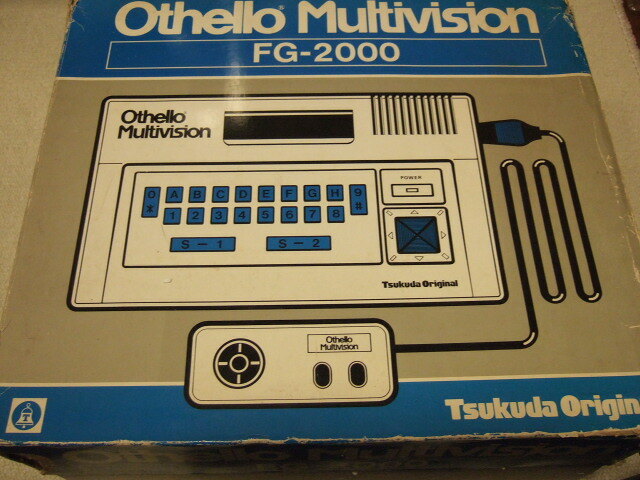 Tsukuda Original released an officially licensed clone of the SG-1000 hardware in Japan called the Othello Multivision. Perhaps following Sega's lead, two units were produced: a red model FG-1000 and then a blue model FG-2000. 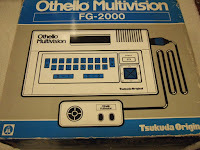 Tsukuda Original also published eight original Othello Multivision branded games, which were cross compatible with the original Sega SG-1000 hardware. 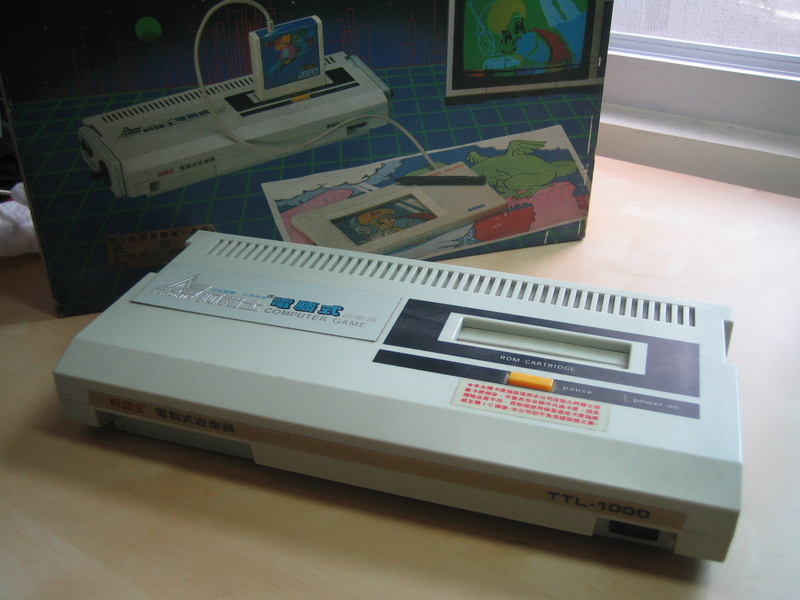 Pioneer also released an officially licensed clone of the SG-1000 for its modular SEED TV platform. The SD-G5 module would plug into a slot at the front of the TV to allow SG-1000 games to be played on the screen without using RF cables. 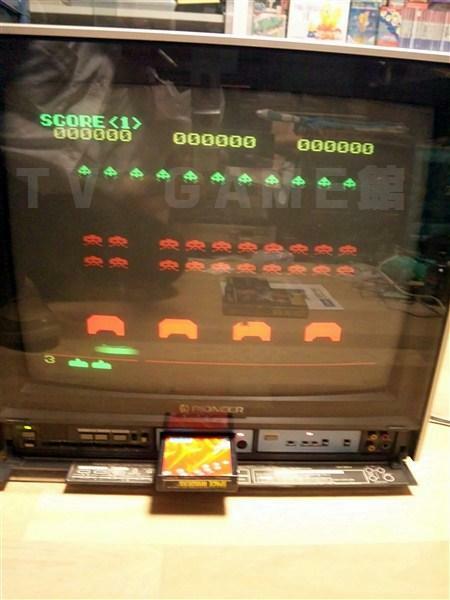 These modules and TVs are now extremely rare. 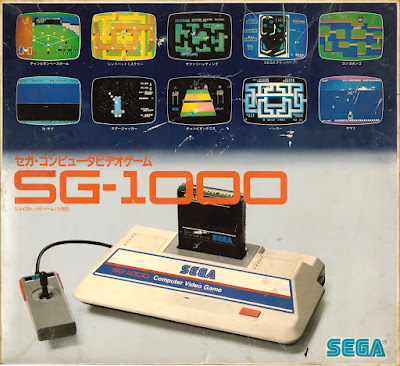 Sega would also briefly adapt the SG-1000 technology for the arcades. Even though the system was vastly inferior to the standards of arcade technology at the time, Yu Suzuki managed to perform miracles within the limited architecture with his game Champion Boxing, which featured unusually large and nicely animated pugilist sprites. As an experiment, the game was put into an arcade machine virtually unchanged and was a surprise hit. 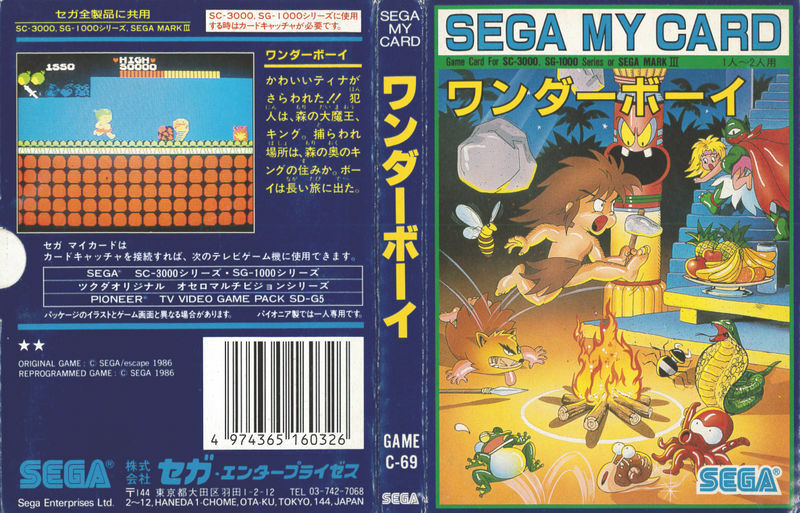 Two more SG-1000 titles were released into the arcades in this manner: Champion Pro Wrestling and Doki Doki Penguin Land. 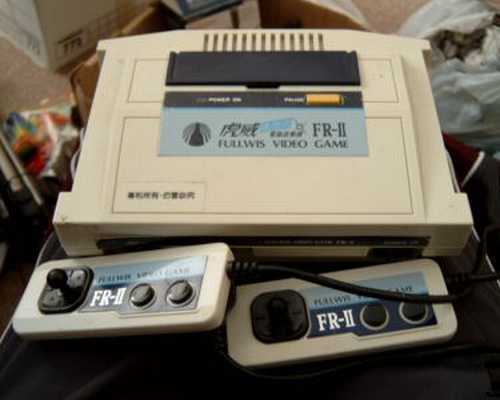 And lastly, a few unofficial clones of the SG-1000 hardware were also released in Taiwan: the Fullwis Video Game FR-II, and Bit Corporation's Chuang Zao Zhe 50, later known as the Dina 2 in one. 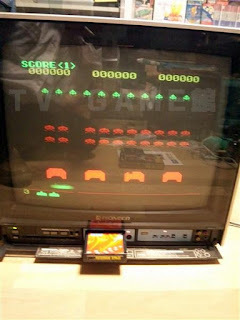 The latter would actually find its way to the USA as the Telegames Personal Arcade. 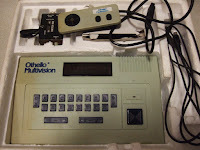 In 1988, Telegames licensed the clone from Bit Corporation, with the blessing of Coleco, and sold the system in America for its compatibility with ColecoVision software. 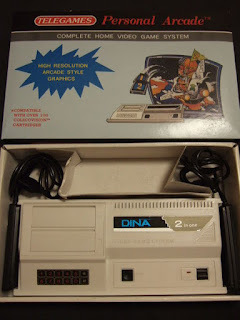 It wasn't openly advertised that the Dina 2 in one could also play SG-1000 software, as hardly anyone in America would have even known what an SG-1000 was back in 1988. So there you have it, a brief but comprehensive history of the SG-1000, told with an overarching and unhealthy obsession with colour coding. 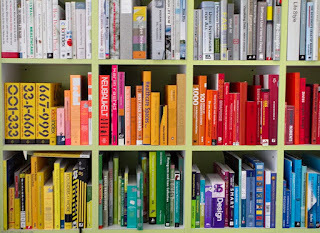 What do you mean I've got a problem? You've got a problem! 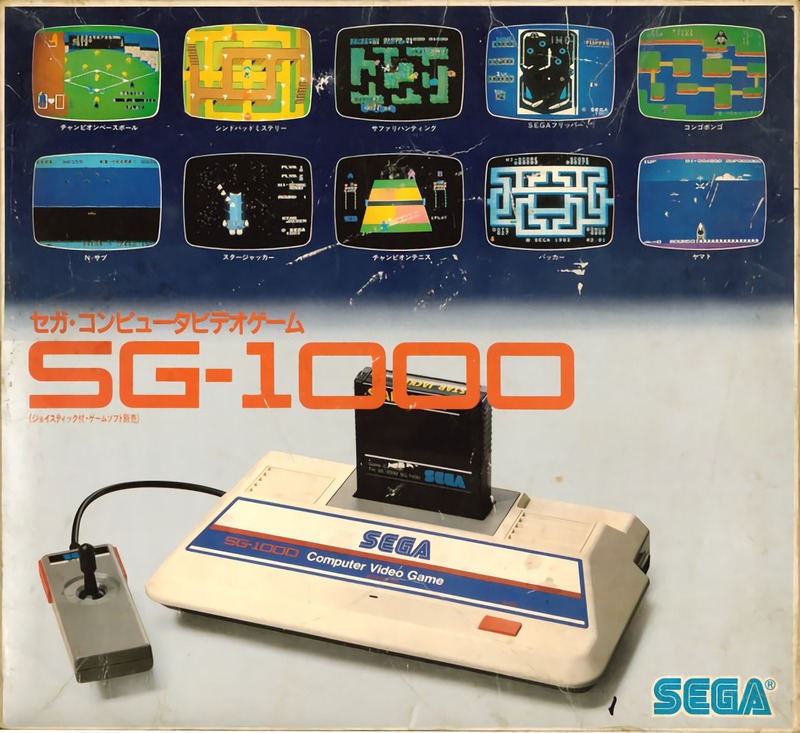 Brilliant, very interesting, there's some stuff I never even knew about, and I thought I knew all there was to know about the SG-1000 and Sega's pre-home console hardware days. Too far Scott. Too far. Even DreamStream didn't go this far.